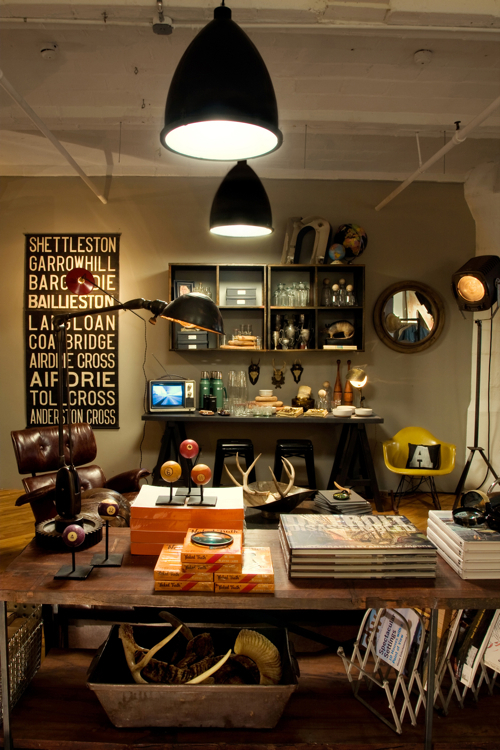 We check out Modern Anthology, a new shop in Brooklyn specializing in masculine interiors. Let’s face it. Men have gotten in touch with their feminine side. With shows like Queer Eye for the Straight Guy, the advent of the male mani-pedi, and the distinction between gay and straight guy fashion blurred like never before, it might be time for dudes to get back in touch with their manly side. She’s both right and wrong. Male-oriented design is actually all over the place nowadays, from coffee shops to trendy hotels like the New York Ace. But male-oriented design you can buy in stores? If a stylish guy wants barware or a sofa throw, he’s pretty much resigned to generic chains on the order of Restoration Hardware and Crate&Barrel. 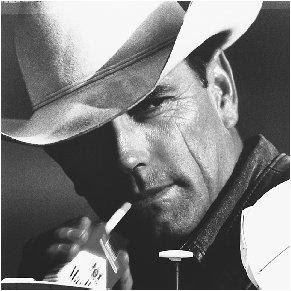 And if he wants to add some hard edges to his place ” whether he’s trying to invoke the Marlboro Man or the mad scientist ” he’s left to scour local flea markets and antique shops. Which is like, soooo, unmanly. So Citron and Marsala are trying to bring it all together in a store conceived of for design-minded 20- to 40-something-year-old dudes. One wall has a row of vintage globes for the male jet-setter; another is adorned with a blown-up graphic from a vintage Haynes auto repair manual. 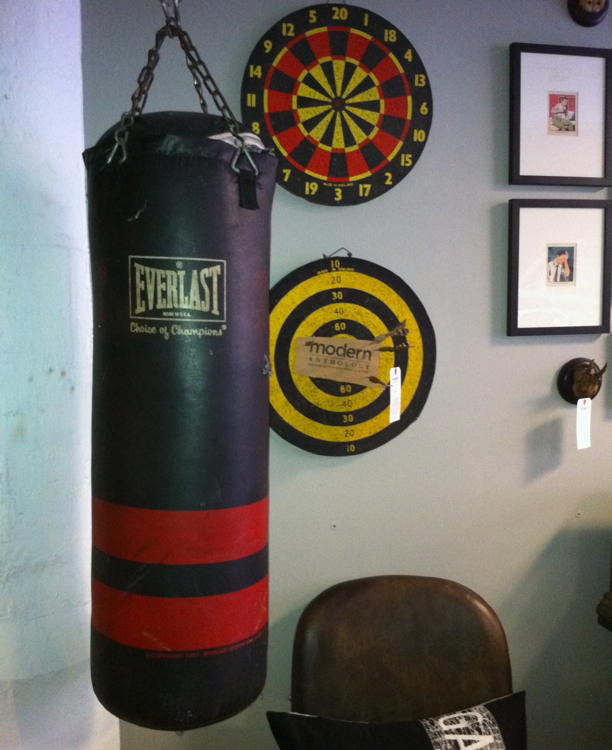 There’s a worn, leather Chesterfield sofa, a vintage Everlast punching bag (below), Ernest Alexander travel duffels, framed prints from old letter press stamps, and a towering stage floor light ? all arranged like a guy’s comfy bachelor pad. 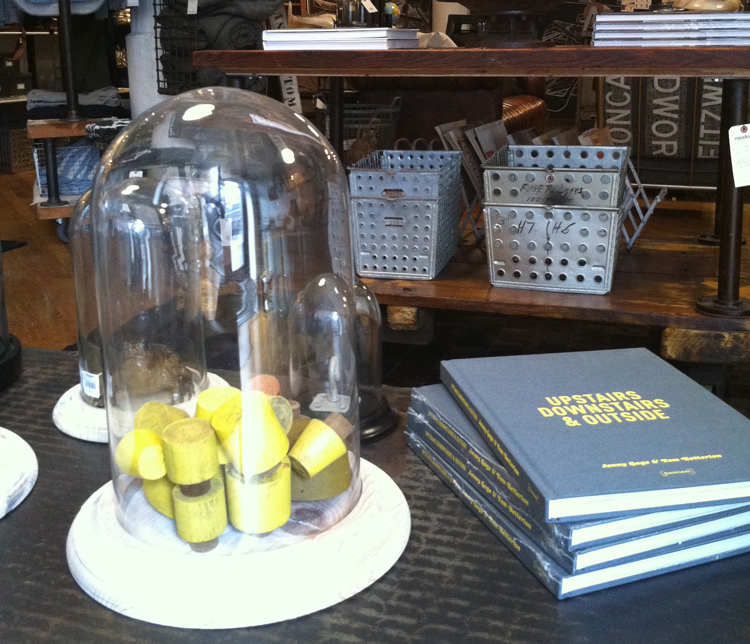 The store feels like a rebuke to the Anthropologie aesthetic everyone’s gone gaga for in recent years. 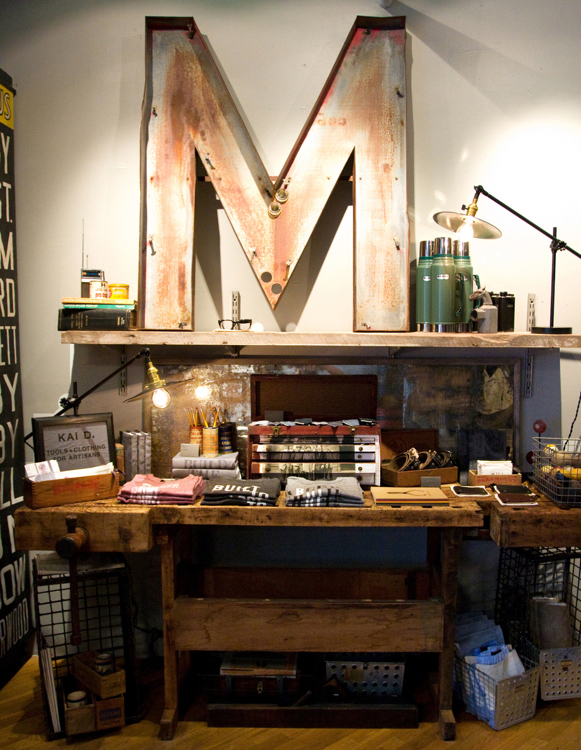 Citron and Marsala source much of their goods from friends and local designers, such as Kai D for shirts, and Workstead for simple, industrial metal chandeliers. Some of their glassware and a console table made out of reclaimed wood come from California-based Roost. But does it make sense to open a home-furnishings store ” even one that fills a niche ‘ when the country has the buyer blahs’ Citron says they’re doing just fine. 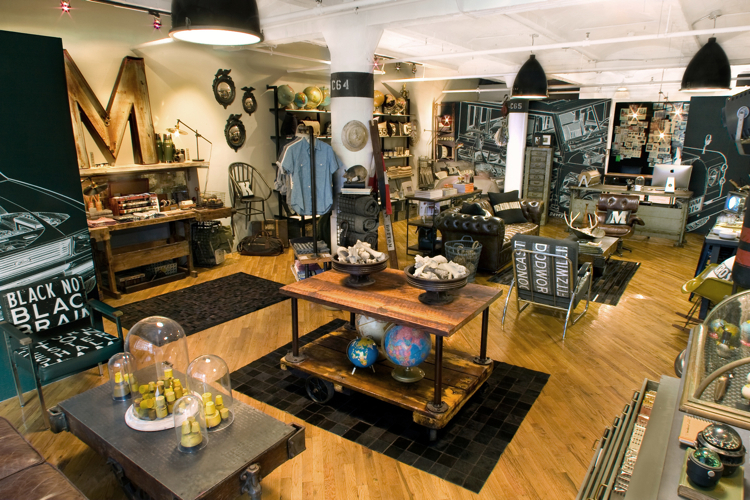 In fact, some of the store’s most expensive (and least essential) wares have walked right out the door, like seven-point deer antlers mounted on a plaque ($975) and a World War I-era flag that says ?Welcome Buddy” ($450). The flag was designed to greet injured veterans returning home from the trenches, but Modern Anthology’s customer infused it with an entirely new meaning. He was an expecting father buying it for the nursery. Modern Anthology is open for business. 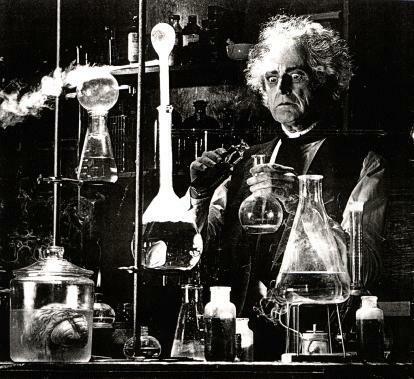 For more info, visit www.modernanthology.com.